It's warming up in resort. Including the apres. So in the last couple of days the temperatures have been rising, the snow melting and consolidating, then freezing. Walking down to the van in the morning has become an extreme sport. There'll be more broken bones to fix in the hospital from slipping on the ice than sending down couloirs. But up the hill, the pistes are in excellent condition and the restaurants are, once again, getting the deckchairs out for Christmas. 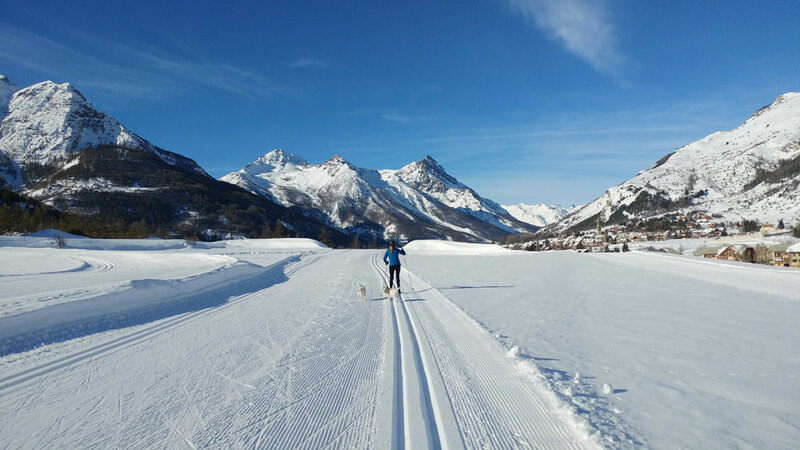 With so much snow down in resort, there's also the option of cross country skiing. 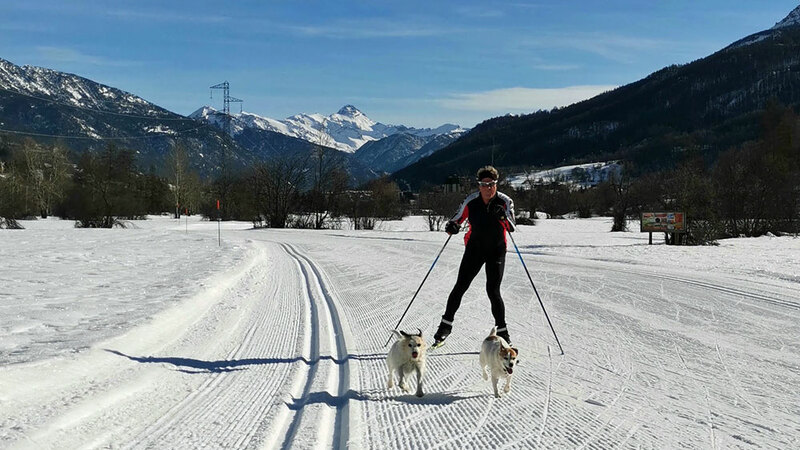 So on the shortest day of the year we put on the narrowest skis to do 10k cross country to Monetier and back with the Rando Chiens though, sssh, they're not supposed to be on the pisted cross country trails. Gav has just bought skating cross country kit as the classic skiing is too slow and not challenging nor sweaty enough for him! 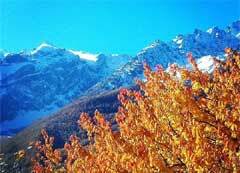 He and Ken took advantage of the recent opening of the Yret chairlift to do the off piste Montagnolle valley. They said it looked pristine and untracked but the snowpack was as varied as you can get from crust to heavy to windblown to a little powder. The run out, though, was surprisingly easy. Meanwhile, the apres is warming up too. 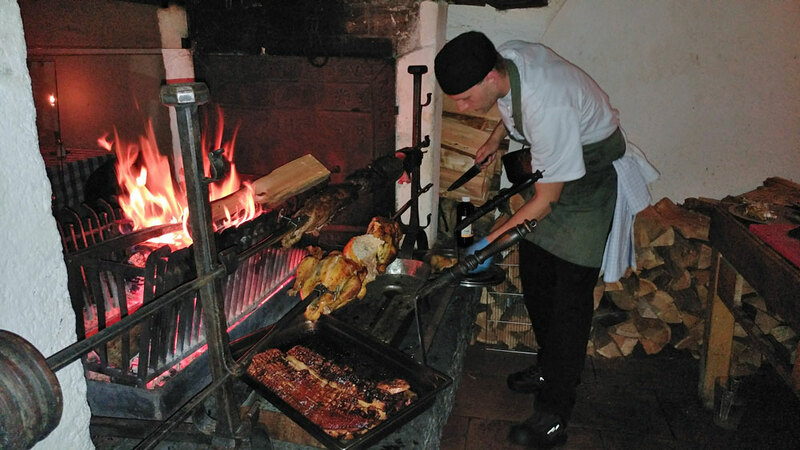 Last night, the Brit clans in Serre Che for Christmas gathered at the the Langley Ski Lodge La Vieille Ferme in La Salle Les Alpes for their opening night and dinner in the rotisserie where different meats are roasted on the open fire. Amazing food, great atmosphere and, er, thanks to all the Prosecco and wine, that's about all I can remember.